A vampire, a werewolf, and a ghost share a house in Brighton. I know, it sounds like the start of a really bad joke, one that ends in some kind of wince inducing pun; but it’s actually one of the best television series I have ever watched in my life. 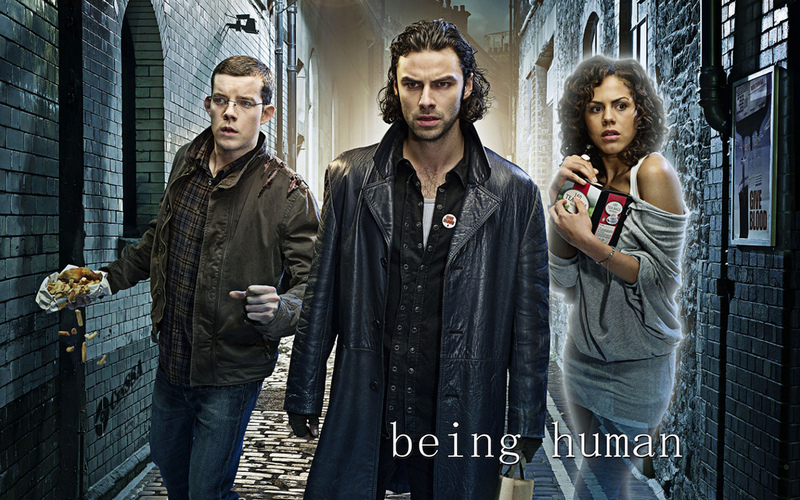 Created by Toby Whithouse, Being Human first premiered in the UK in February of 2008. There are five series (or seasons, in American TV parlance) and each one is better than the last. Annie, a tea-making ghost played by Lenora Crichlow, George, a Jewish werewolf played by Russell Tovey, and Mitchell, an IKEA-loathing vampire played by Aidan Turner, share a small house together in Brighton where they are all striving to live normal, human lives. Easier said than done, of course, when the men with sticks and ropes are trying to drag you to the afterlife, there’s a major vampire uprising to be dealt with, and you accidentally scratched that girl you really like during your ‘time of the month’. 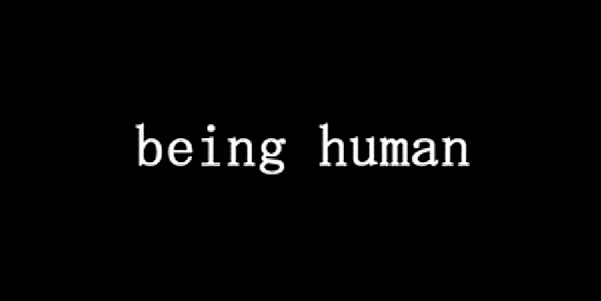 Being Human is masterfully written from start to finish. It survives the death of several main characters (no spoilers as to whom, I promise) and in fact a complete main cast change-up in Series 4 and 5. There are not many shows that could do that. In fact, personally, absolutely none come to mind – if you know one that handles such a jarring transition particularly well, put it in the comments, I’d love to watch it! The show balances absurd humor with crushing tragedy – a balance we all have to strike in our everyday lives, whether we’re cursed with lycanthropy, vampirism, or are practically invisible. This is a genre show which gleefully breaks all the expectations of the genre it inhabits. Many of the classic rules of the supernatural apply to George and Annie and Mitchell, but some do not. But more importantly than that, the show makes it clear that the main obstacles and challenges they face are not directly related to their otherworldly afflictions – the hardest thing to do in this life is to be human. It has no intrinsic rewards, and in fact causes pain more often than happiness; but being human is its own reward, including all the flaws and mistakes that go along with it. Being Human works as a show because it ignores simple or easy story choices. It knows when to give the audience a comedic break and when to deny them one. Every character, even those who pop up only once or twice in the entire series, are well-written, complex, and memorable, as well as being sometimes uncomfortably sympathetic. Despite its fantasy and horror flavorings, the show is, at its base, about people dealing with everyday problems. At the show’s core is a struggle that has no ending in real life. What it means to be human, and how to be the best humans we can, are questions which fascinate me in my own work. Watching Being Human inspires me to look for answers to these basic questions in places and people I might not have expected. Being Human inspires me as a person to be a bit more forgiving of the occasional unfair nature of life. Being Human makes you appreciate just that; how lucky we are to be human. This entry was posted in Inspiration and tagged Aidan Turner, Annie Clare Sawyer, Annie Sawyer, Arts, BBC, Being Human, Brighton, Creative, Essay, George, Inspiration, Lenora Crichlow, List of Being Human characters, Mitchell, Non-Fiction, Robin Jeffrey, Russell Tovey, Series, Television, Toby Whithouse, TV, Writing. Bookmark the permalink. Bravo! I can’t wait to watch the last season.